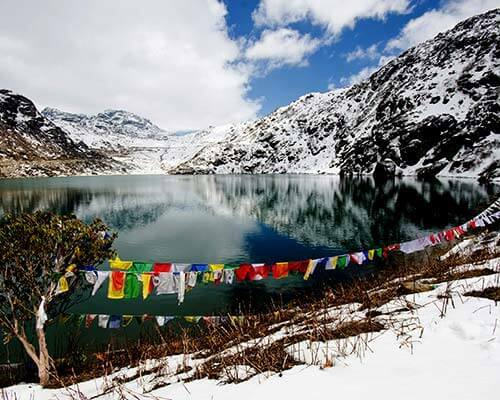 If you’re a foodie who loves to travel then Assam food would be something you must definitely tick off your bucket list. The Assam cuisine has a distinct flavour that is marked by Bengali influence and consists of a delicate taste that would make anyone go gaga thanks to the choicest herbs and fresh fruits and vegetables that are used in the dishes. So if you’re traveling to Assam or just wanna try it at an authentic Assamese restaurant, these are the best dishes to go for. When it comes to main food of Assam, Khaar is a non vegetarian dish that comes on top. This meat delicacy is made from the main ingredient khaar on which it is named and also has raw papaya, pulses, and taro. The preparation also involves filtering all of the above through dried banana leaves for its distinct signature flavour. 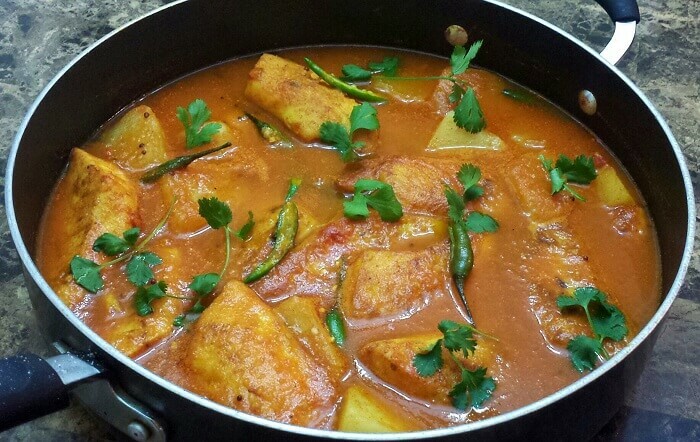 This curry delicacy is usually accompanied by rice and is often part of the lunch. This tangy curry is one of the most popular food in Assam. 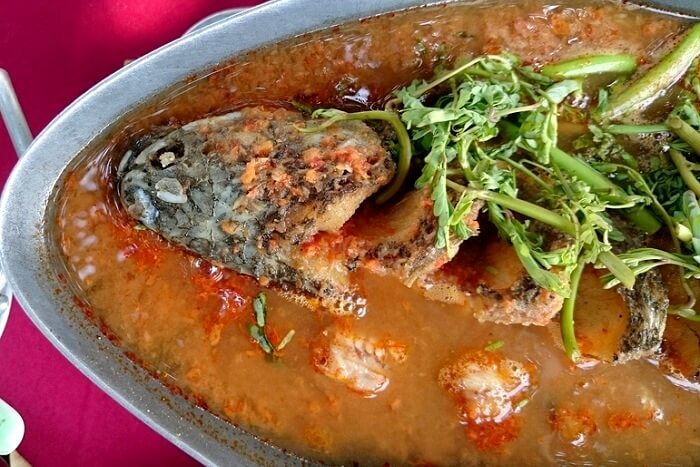 The fish is slow cooked with a broth made from outenga, tomatoes, and lemon and offers an extremely tangy refreshing flavour once done. 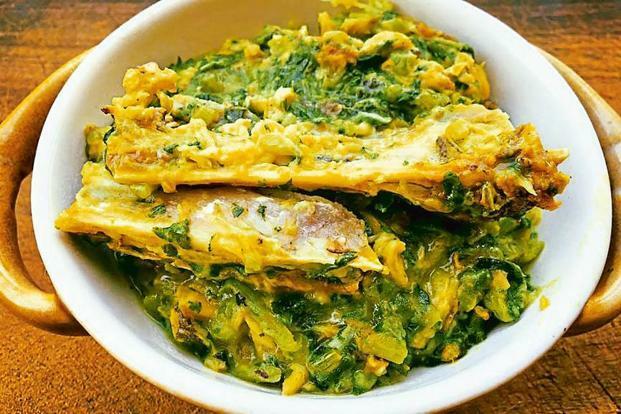 This is one dish every Assamese definitely loves and you can make that out from their enthusiasm when you ask about it from them. Another one of Assam’s special food items, duck meat is a dish generally reserved for special occasions. 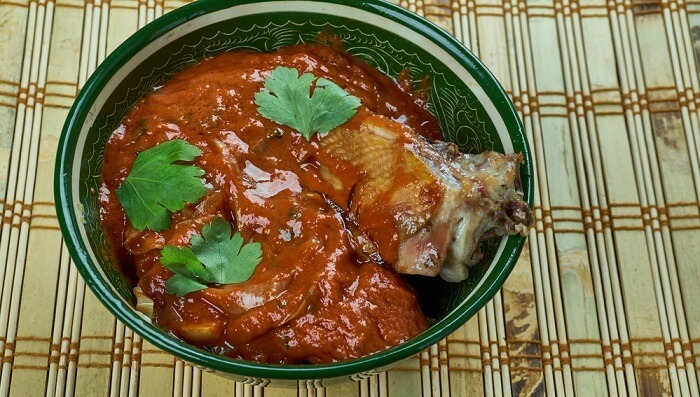 If cooked properly, the dish can blow you away thanks to the use of whole spices. It is generally cooked with Ash Gourd but one can also cook it sesame, pumpkin, lentil and more. 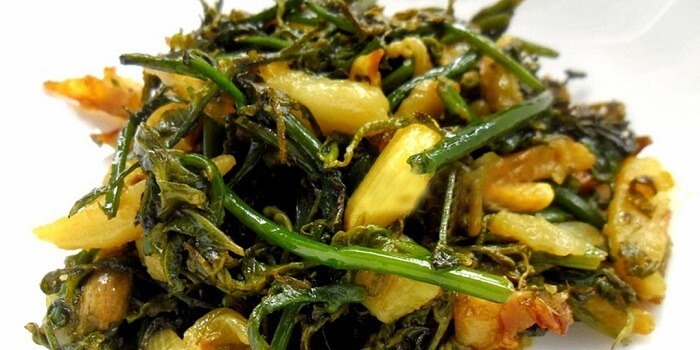 Usually a side dish, it is made from vegetables and herbs and seasoned with garlic, ginger, and occasionally with lemon. 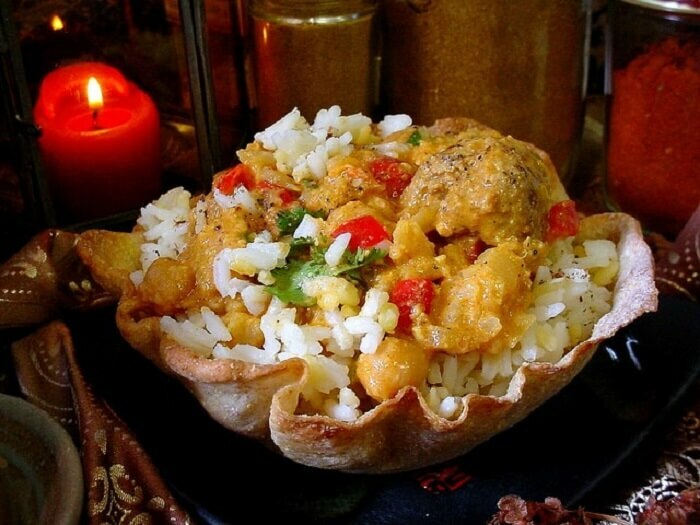 This is an everyday sort of dish that is part of lunch and dinner when it comes to Assam food. This is a sweet and sour chutney that is made from elephant apple (Ou) and jaggery. It is a must try food item that perfectly compliments your meal. This is the Assamese version of mashed potatoes and is an excellent side dish for lunch and dinner. 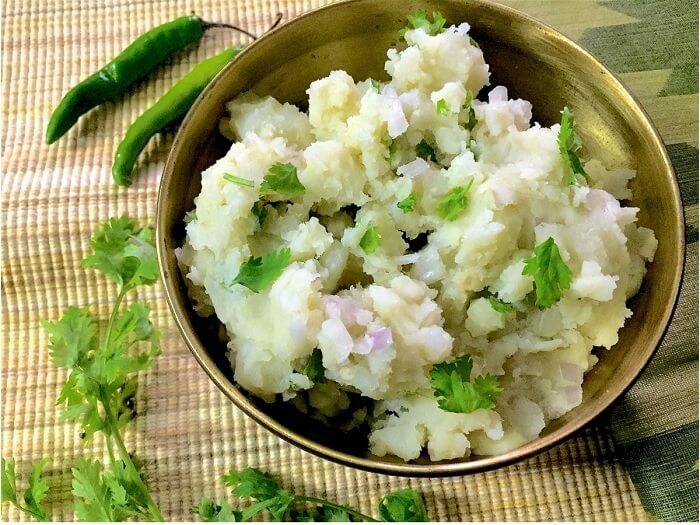 The mashed potatoes, which are cooked in mustard oil, onion, salt, and coriander is one of the most simple dishes to cook and yet one of the most enjoyable. 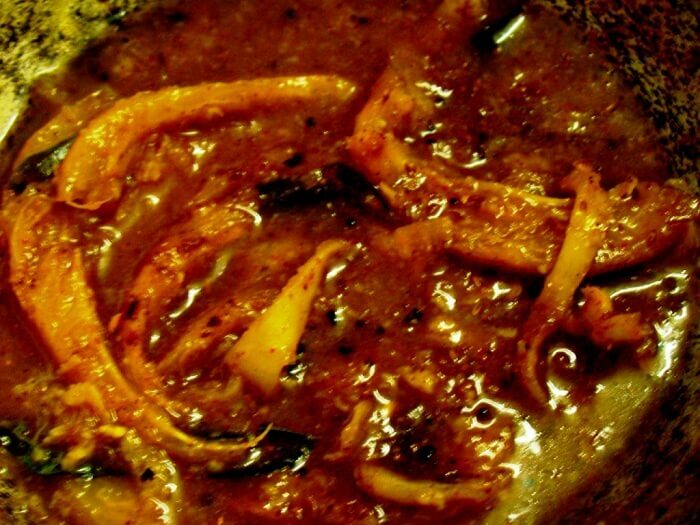 Another one of popular Assam food items, this dish is essentially pigeon meat and a delicacy of the region. 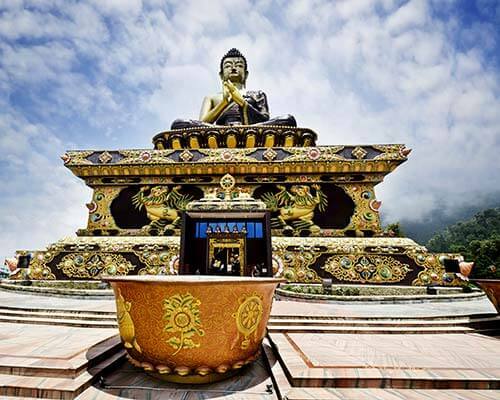 It is best complemented by Koldil or banana flowers which adds to its unique taste. In general, pigeon meat is said to keep the body warm in winters and is thus cooked on special occasions and seasons. 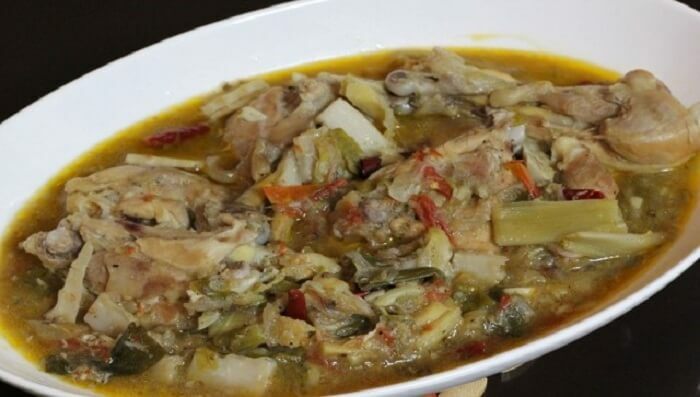 One of the most popular dishes in Assam food cuisine, this is essentially chicken cooked with bamboo shoots and lentil. Try this if you want to experience the unique flavour of bamboo shoots which is mostly uncommon in other dishes. 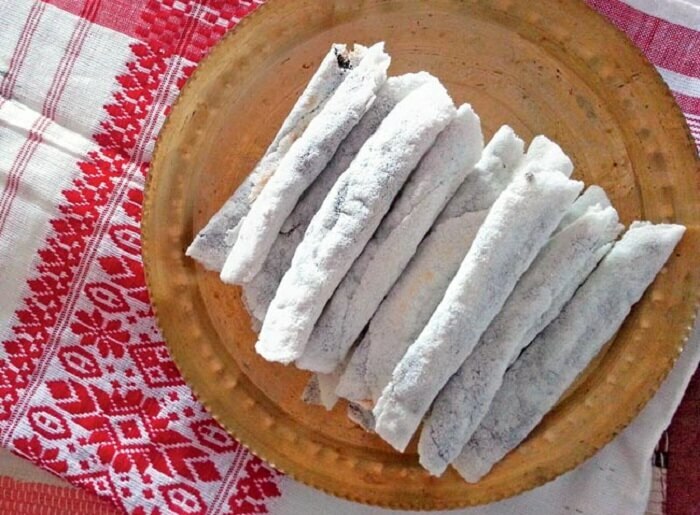 Yes the Assamese eat silkworm and as creepy as it sounds and looks, it is one of the most delicious dishes of Assam food. 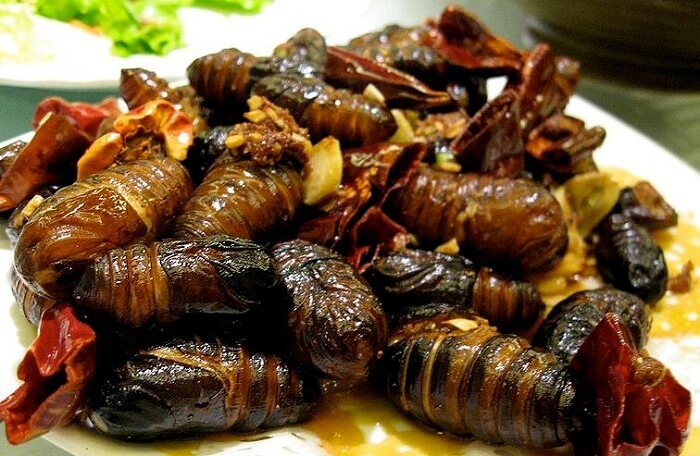 The larvae is stir fried with spices and tastes crunchy on the outside and liquid like on the inside. This is essentially a tribal dish that one should definitely not miss out on. This is one of the most famous sweet dishes of Assam food cuisine and can be sweet and savoury depending on its ingredients. 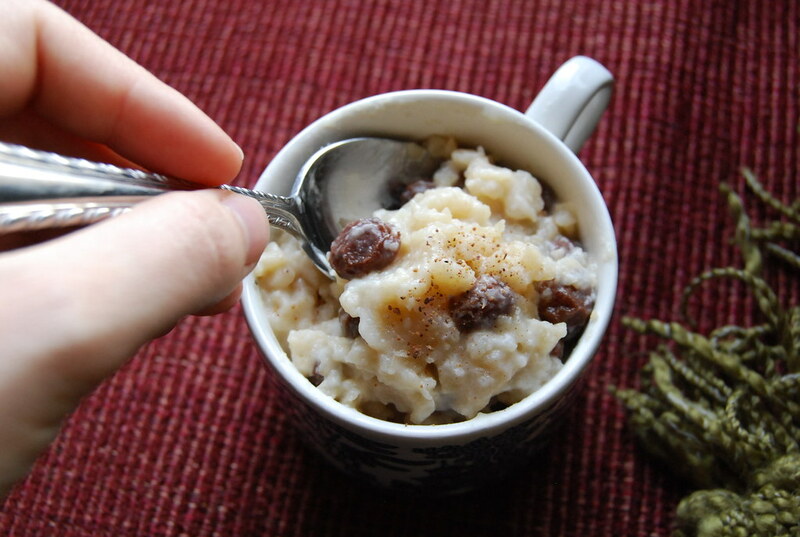 Although a bit tricky to make, it can be home cooked and served at breakfast or evening tea. 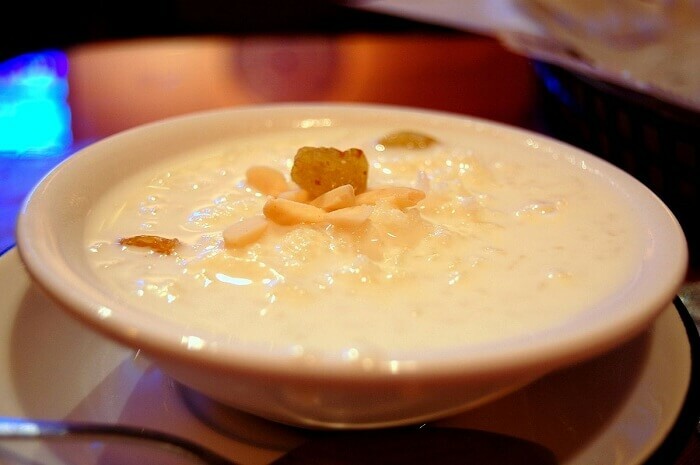 A sweet dish that tastes similar to rabdi, this one is made from rice, milk, jaggery, dates, cashew, and bay leaves. The addition of dates in this dish gives it a distinct flavour. Another sweet dish that is made from roasted coconut, flour, and sugar, this one is pretty easy to make and an excellent dish to serve after you’re done with your main course. 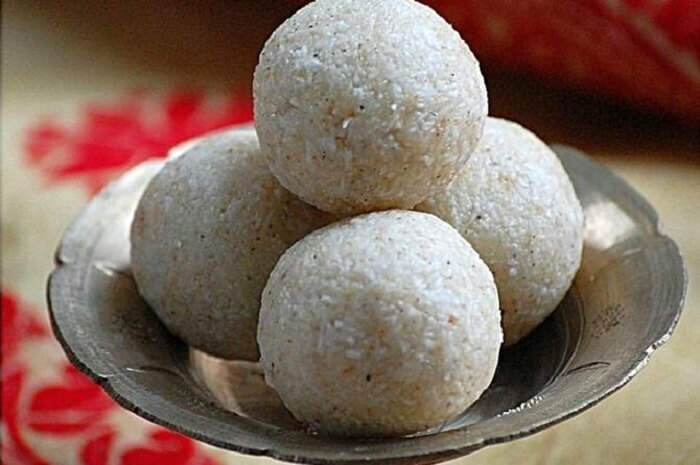 In simple terms this is a coconut laddu that has the best of both worlds, coconut and sugar. And yes, having one is simply not enough. 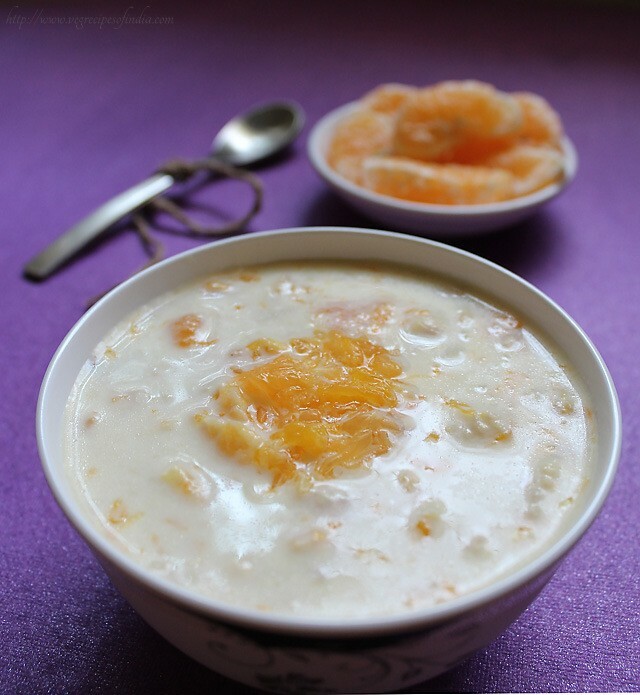 This is your usual kheer made from rice but with a tangy orange twist. 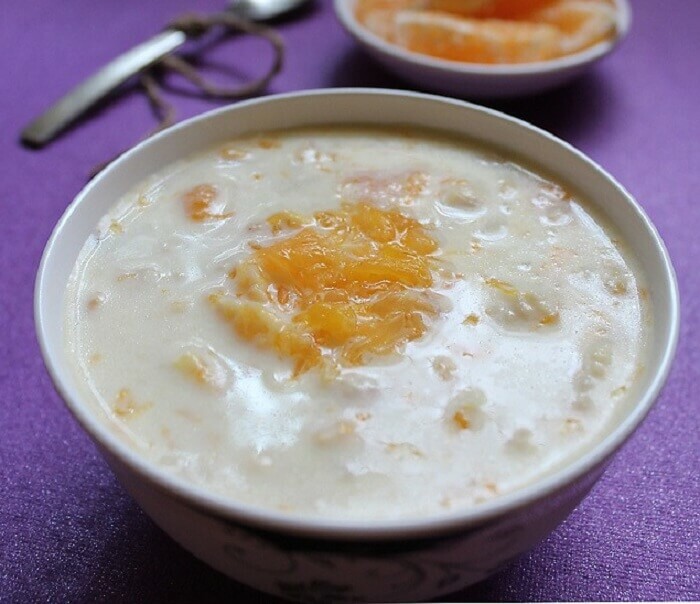 The addition of orange pulp adds a refreshing flavour to the sweet dish and one can also use the pulp to garnish the dish. Joha rice is used in making this sweet dish that is loaded with ghee, dry fruits, and milk. Cooked on a low flame, one can also add cardamom and saffron for garnishing it. Overall, this is a must try dish for all those with a sweet tooth. Now that you know all about the must try dishes when it comes to Assam food, we know you’re craving for a taste of these delicacies. 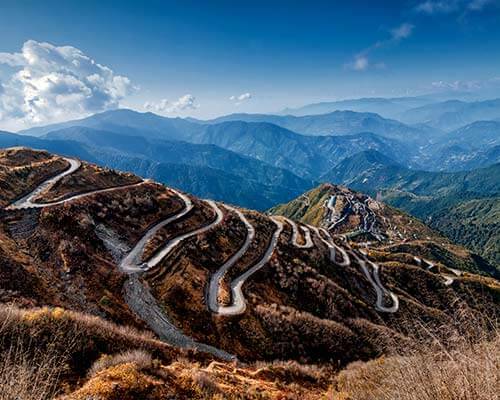 So if you’re planning a trip to Northeast, don’t worry. 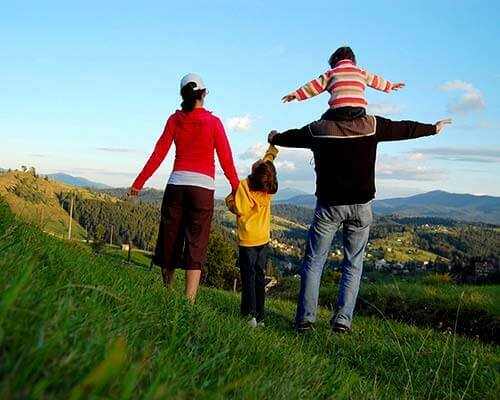 Simply book a Assam package from TravelTriangle and let us do the planning for you. Italian Cuisine: Top 10 Dishes That Let You Taste The Authentic Flavors Of Italy!